Kelly and Wendy Meier have been building beautiful custom homes in the Edmonton area since 2006. 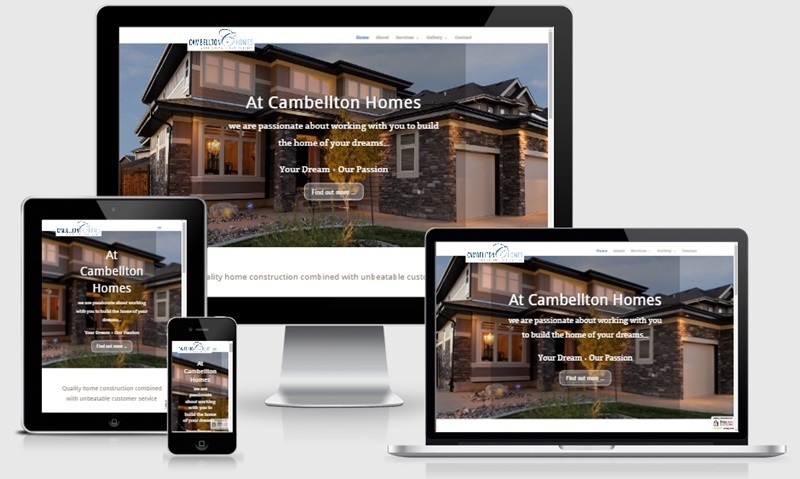 Their clients are thrilled with their work, and regularly refer people to Cambellton Homes. A website that showcased their work was the obvious next step. We loved working with them to design the website they wanted – AND our professional photographer was able to really capture the luxury and elegance of their homes. Thank you both for the excellent job you did in putting together our new website. We have had several compliments and some of the comments that have come back are that the site is “classy” and “high end”. This is exactly the look we were going for and you captured it perfectly! When I started the process of looking for a website designer I didn’t know where to go and I can’t believe our luck in finding you randomly on the internet. I knew from the first meeting that you would be the perfect fit. Michele, you seemed to read my mind and understand exactly what I was looking for. And Mark, your attention to the fine details were second to none. You delivered everything you said you would when you said you would, and I really appreciate the professionalism through the whole process. You took the time to understand, listen, and work with me so I could get exactly what I wanted, even though when I started the process I wasn’t sure that that was. I was also very impressed with Mark’s talent as a photographer and am very grateful that you were able to take the pictures that were used as well. With the skill set of Michele as the programmer, Mark as the designer and photographer, you complement each other well and make quite a team. You were both amazing to work with and I would not hesitate recommending either of you for either website design or photography. Four years later, the beautiful website we’d created had become a little dated – so a shiny new one was designed, taking advantage of the advances in web design technology. We are very happy with the new site – thank you!